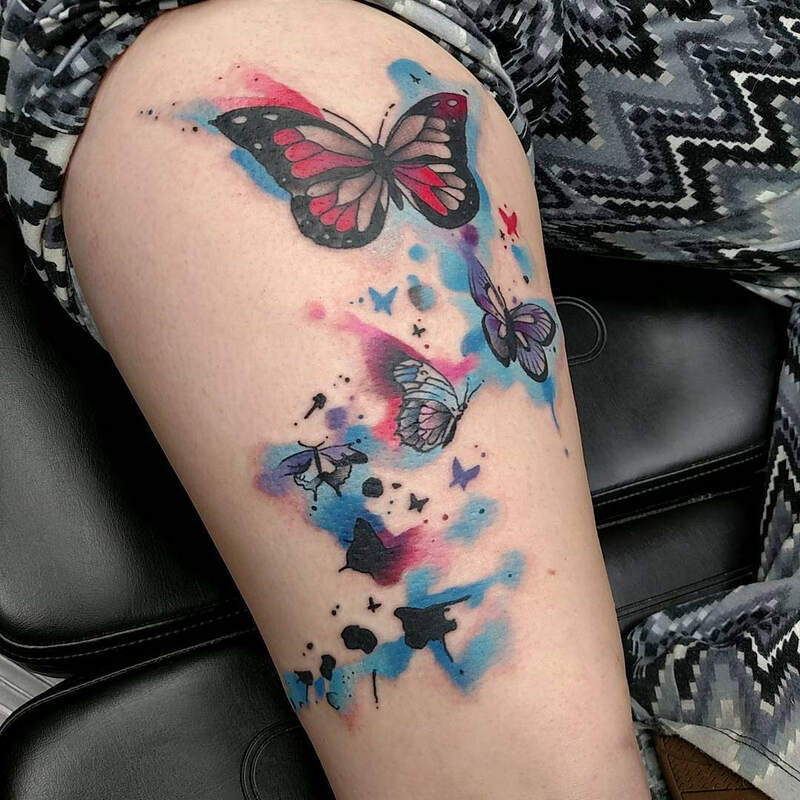 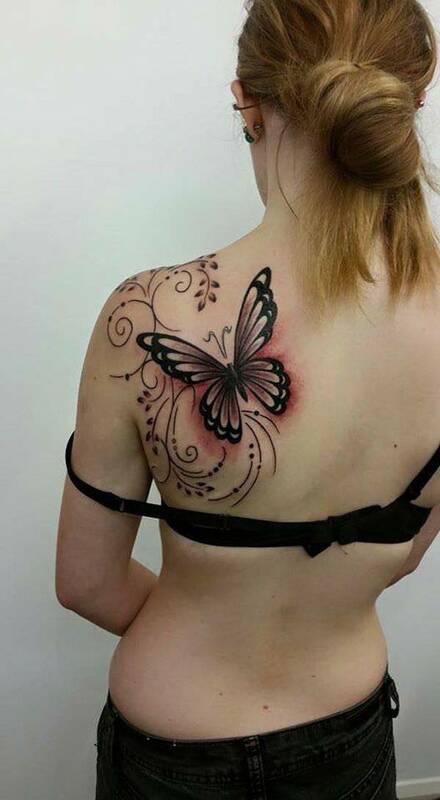 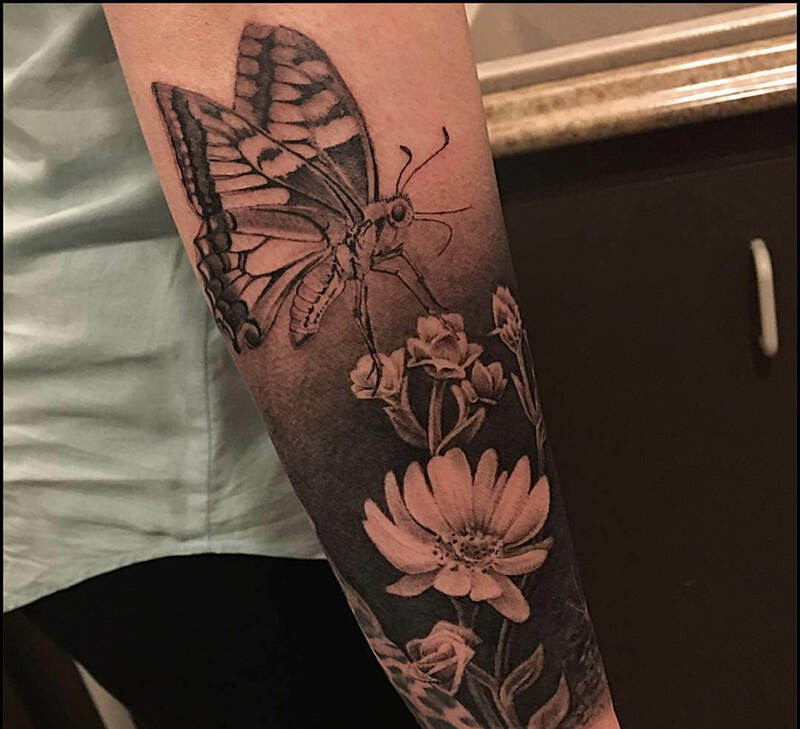 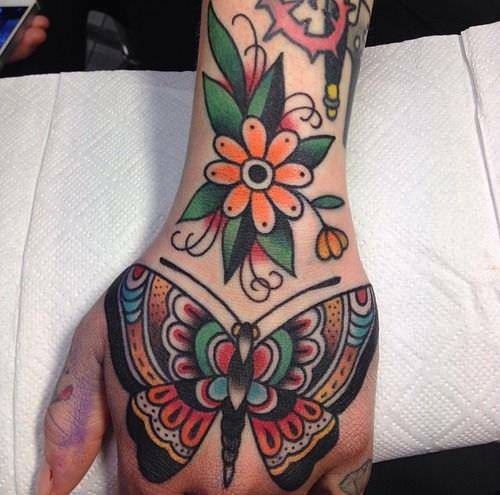 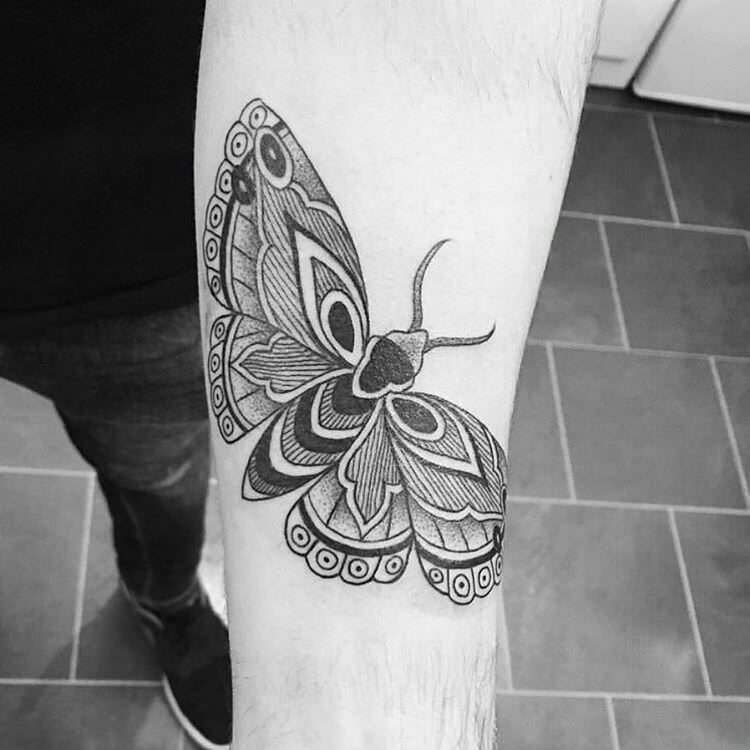 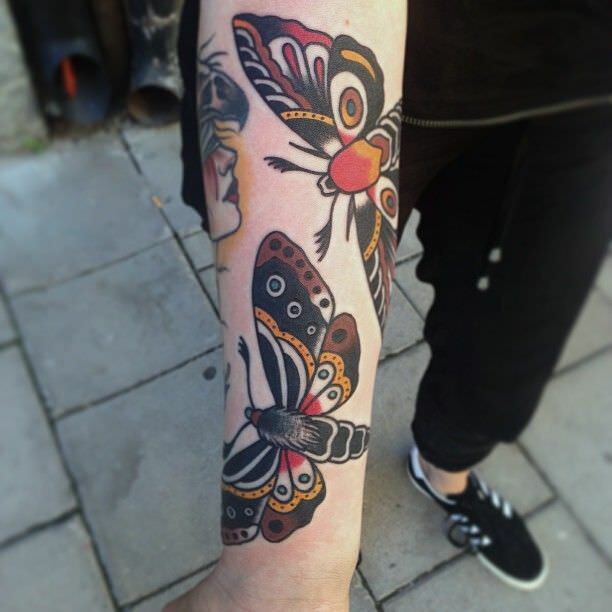 A Butterfly tattoo is a very popular traditional tattoo. 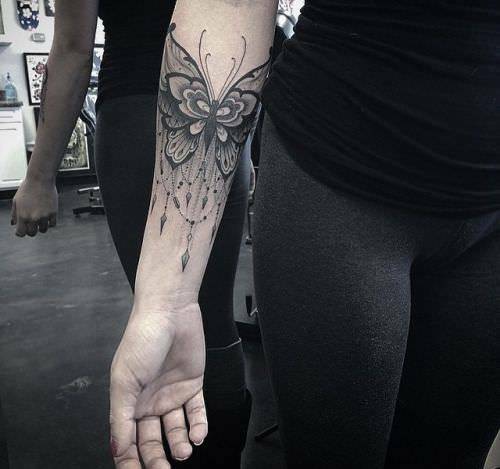 Although many people have a different meaning for their tattoos a butterfly tattoo is most likely to show a rebirth. 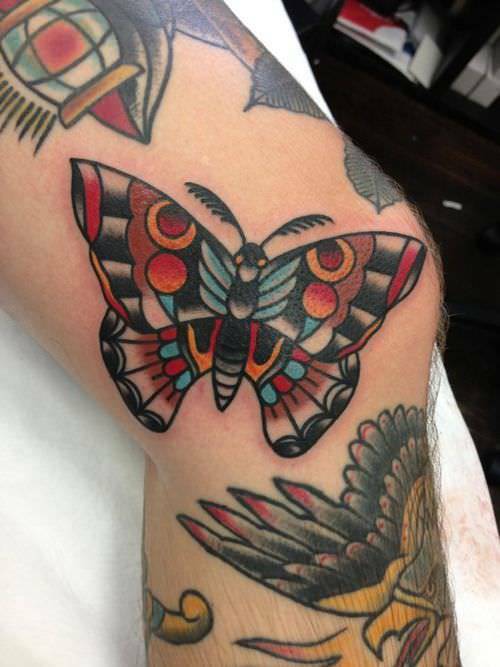 In Japan, a butterfly means a soul of a person and in Greek the name butterfly is loosely translated into a soul. 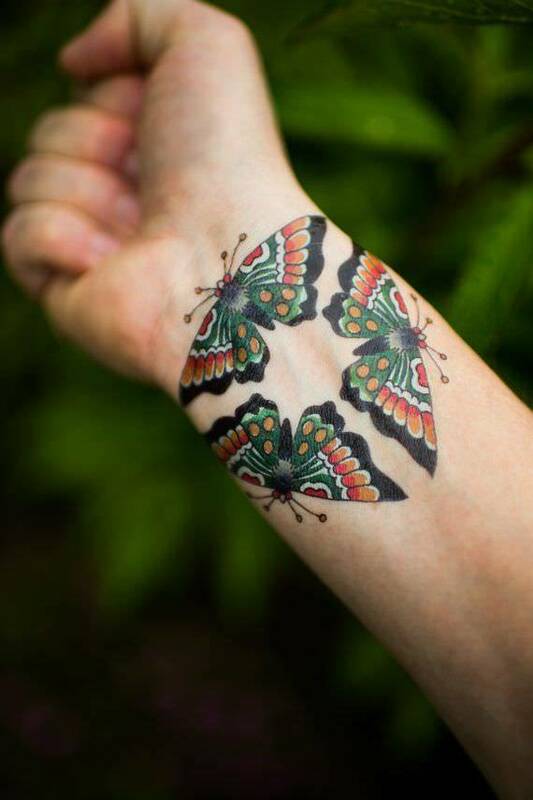 In china, when two butterflies are seen flying together they symbolize love. 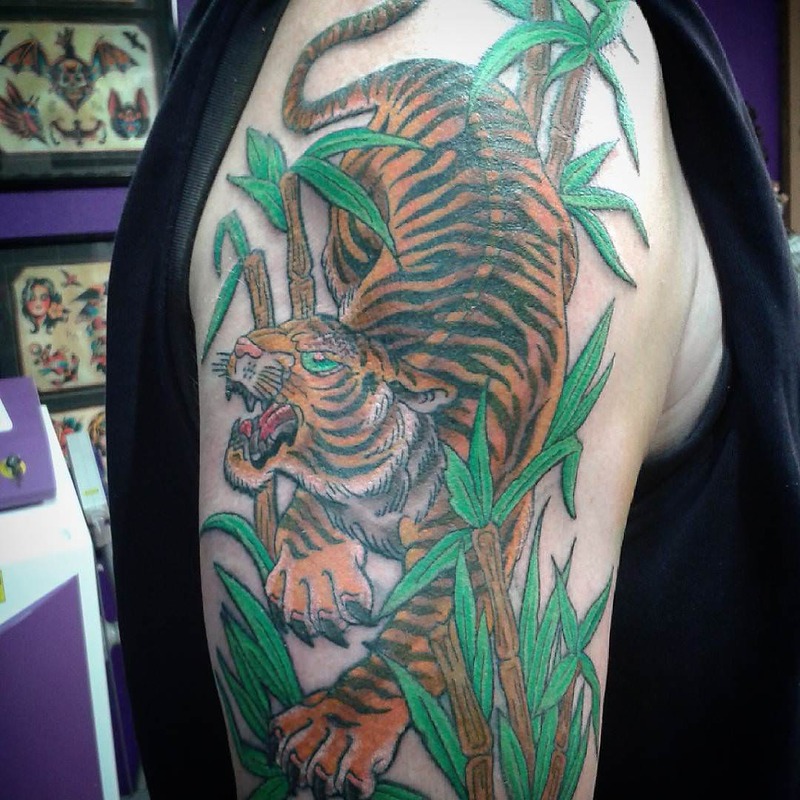 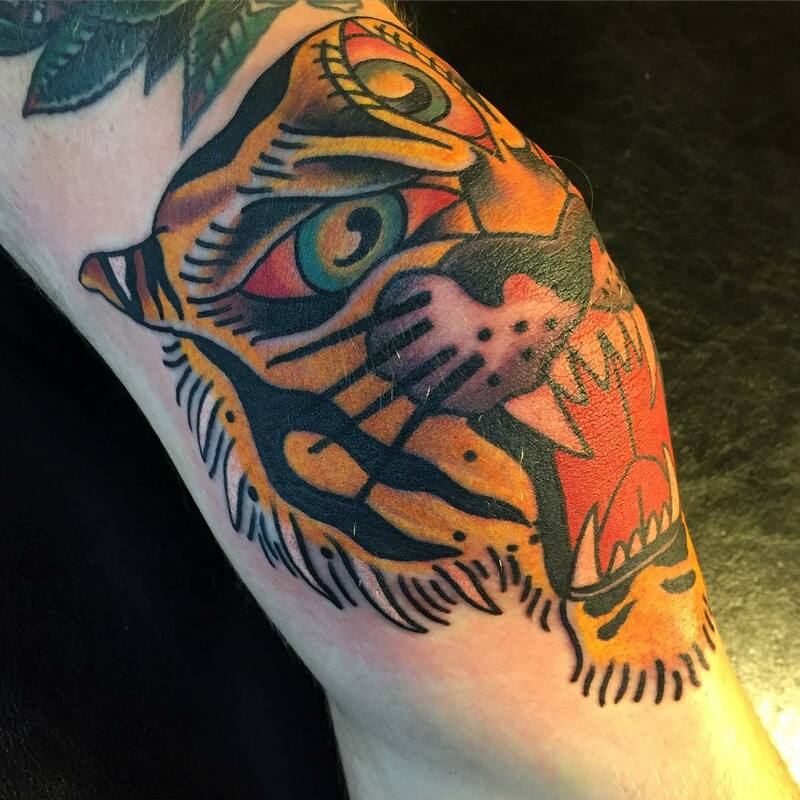 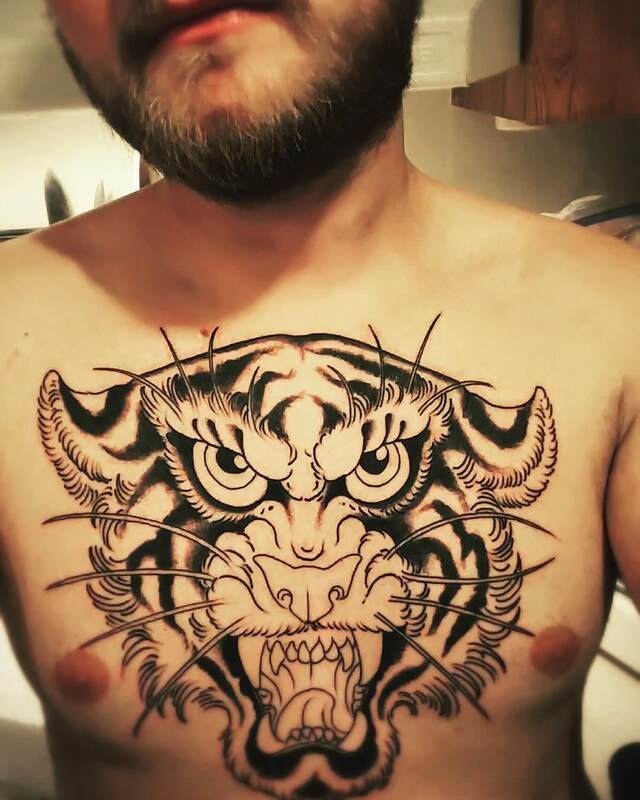 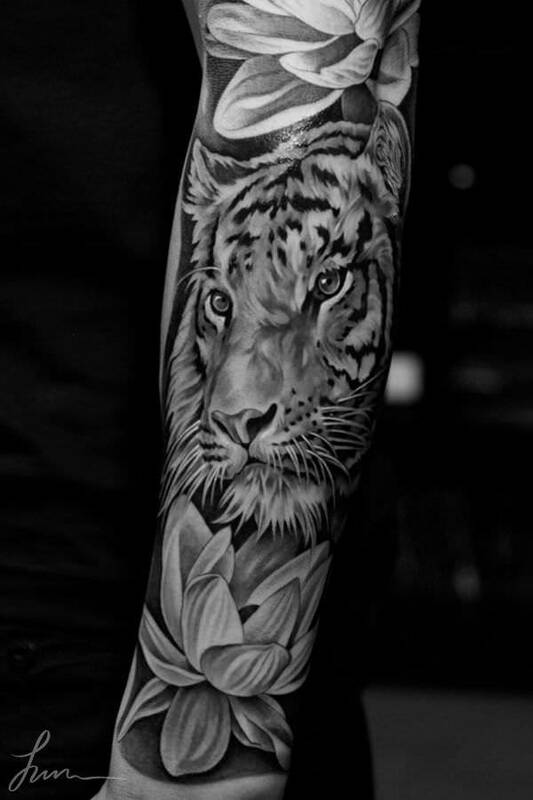 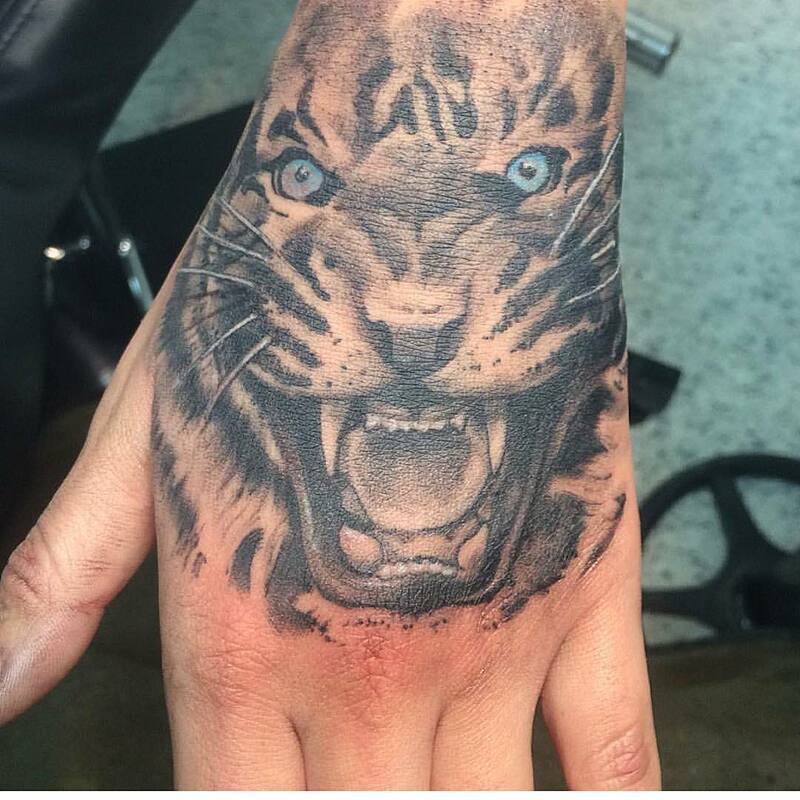 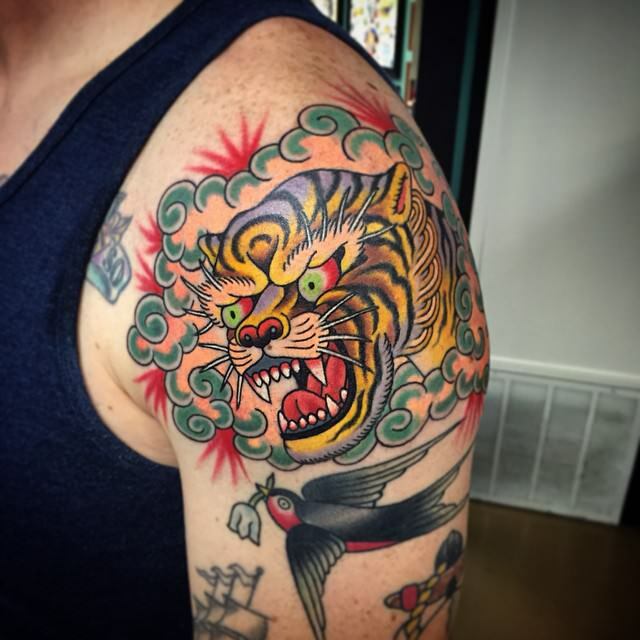 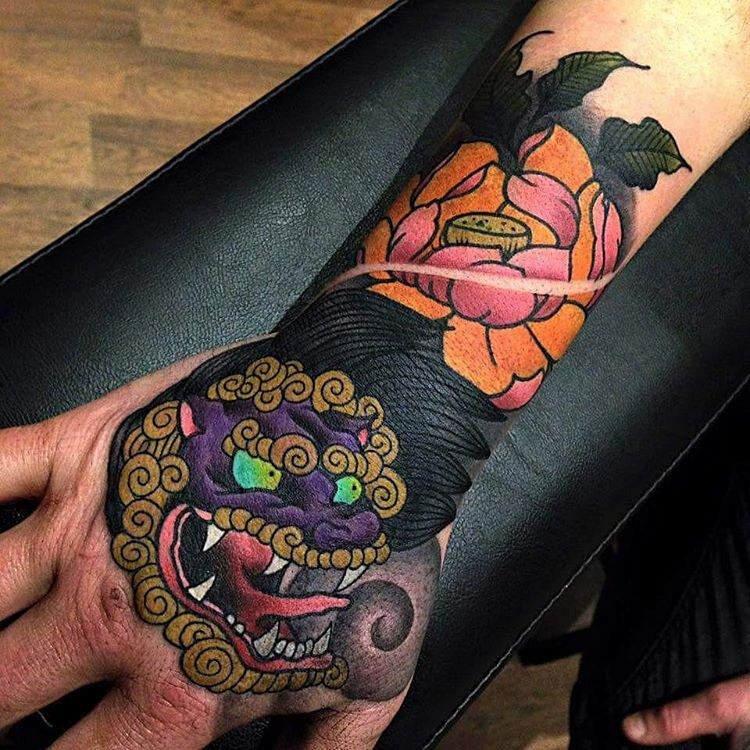 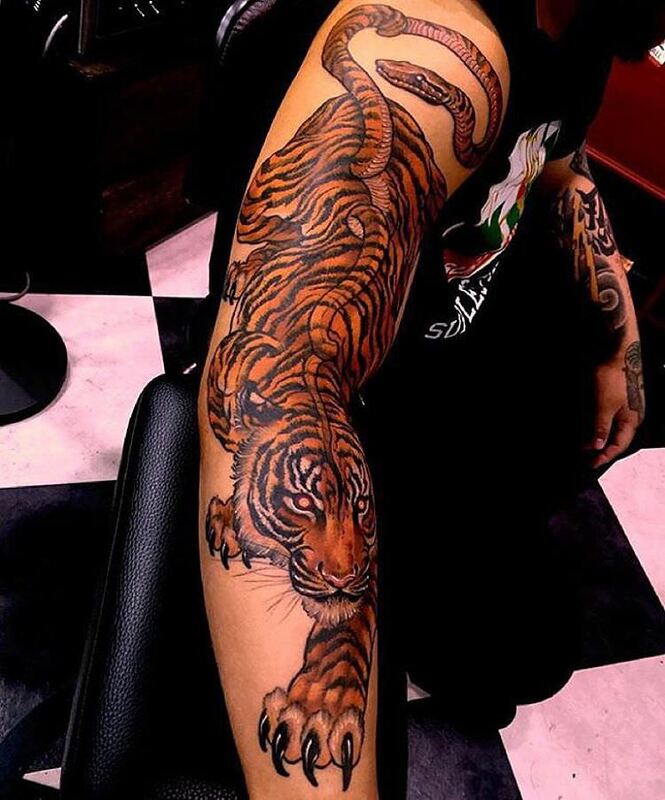 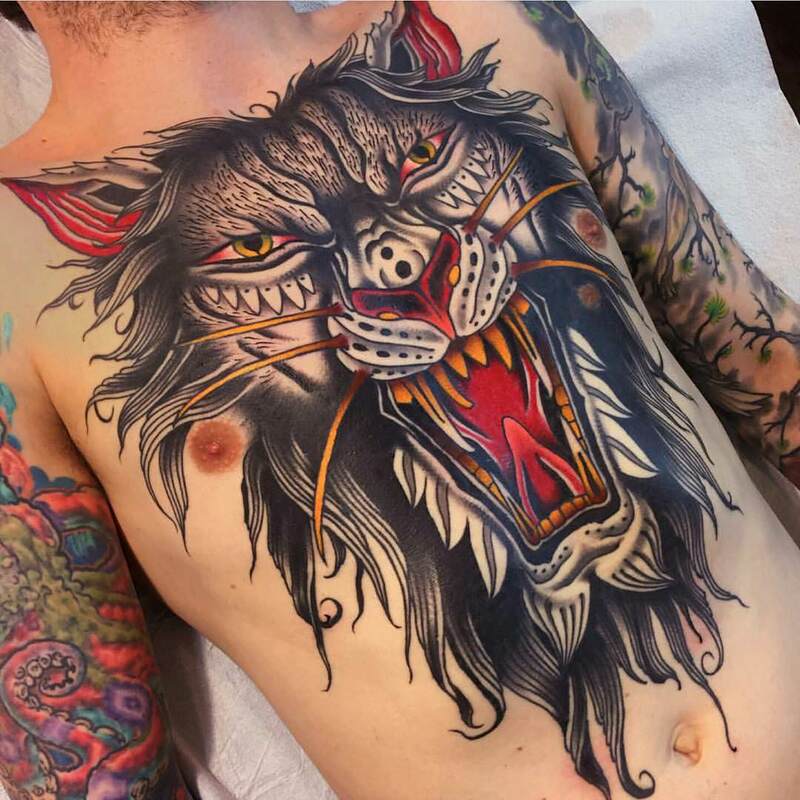 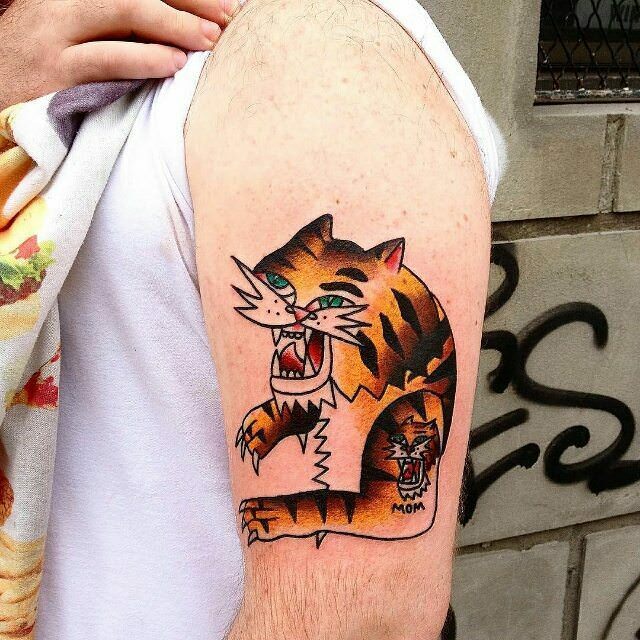 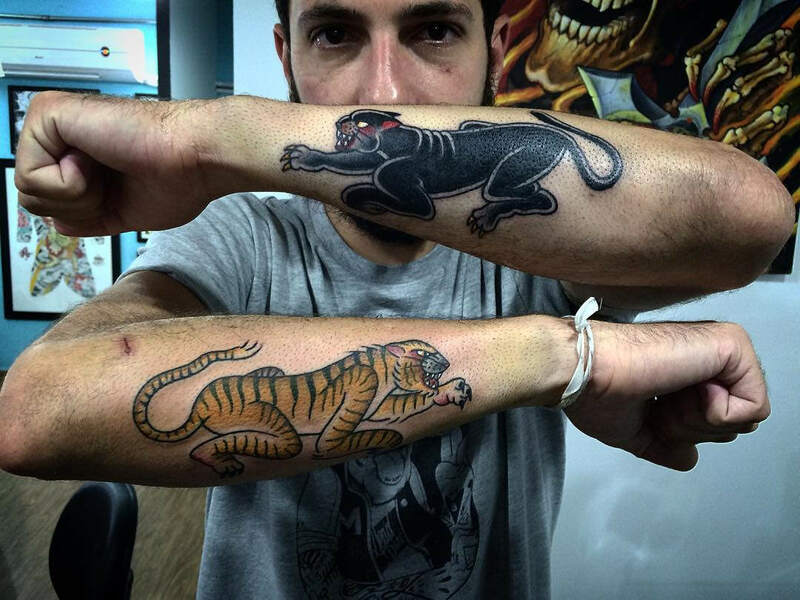 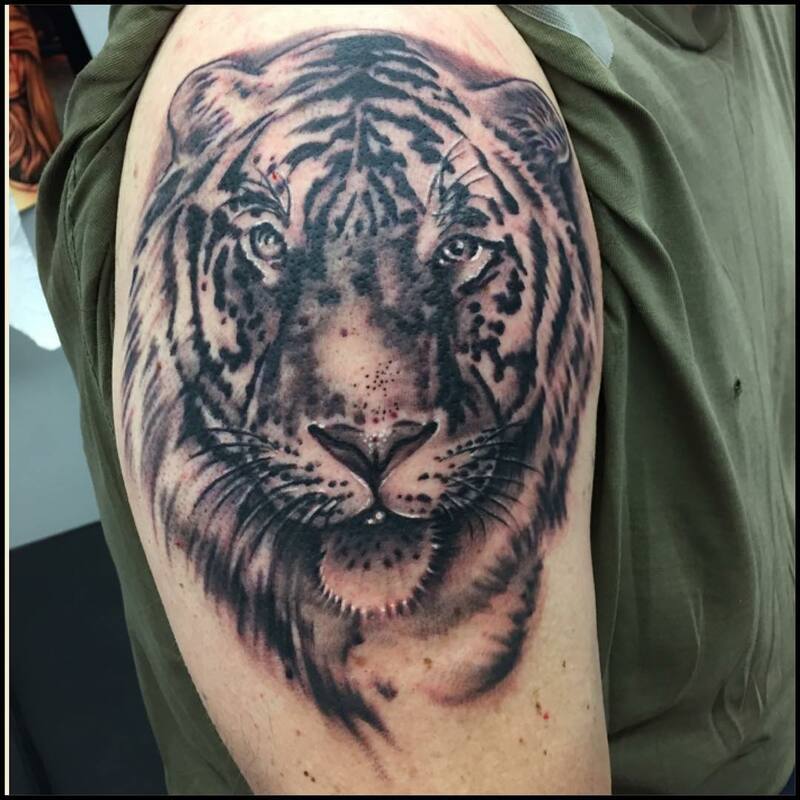 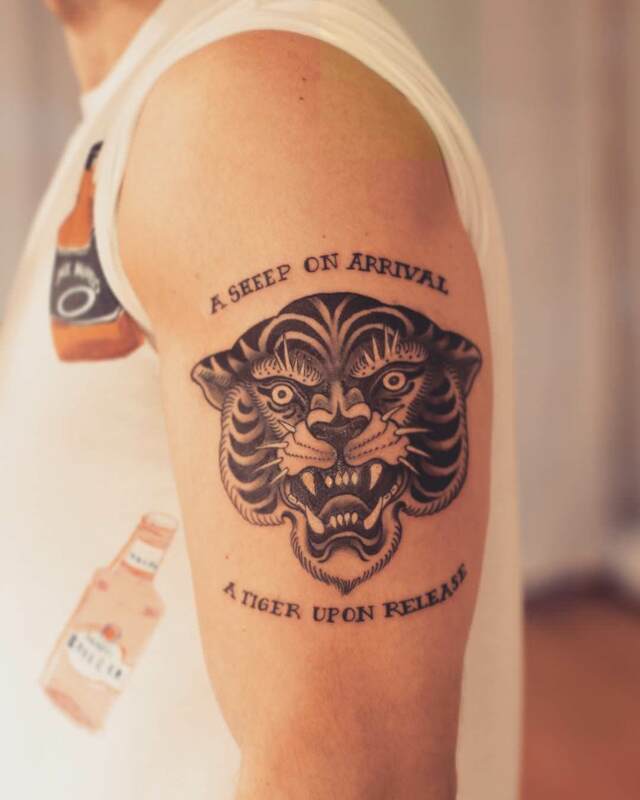 Tiger tattoo was mostly common in the Asian countries, but it has now gone global. 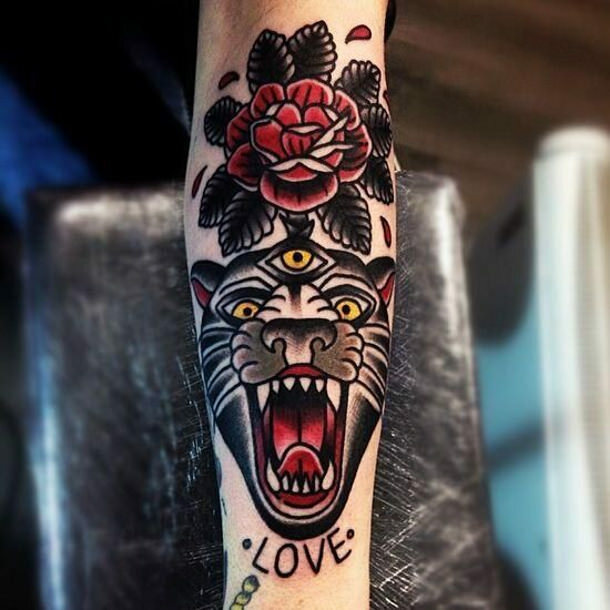 It has a different meaning to different people. 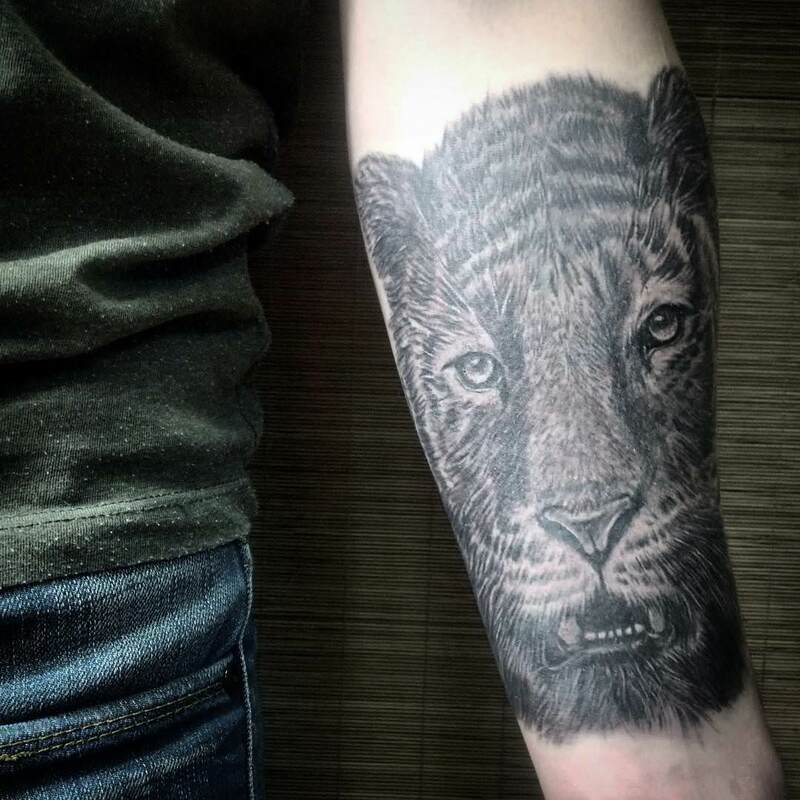 In Chinese tradition, it symbolizes fearlessness and royalty. 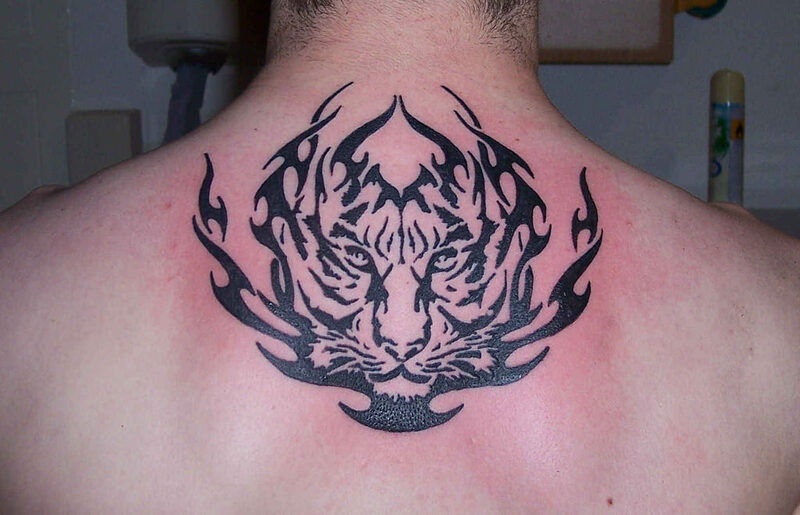 It is among the four animals of the zodiac and in the constellation it is an equal rival with the Chinese dragon. 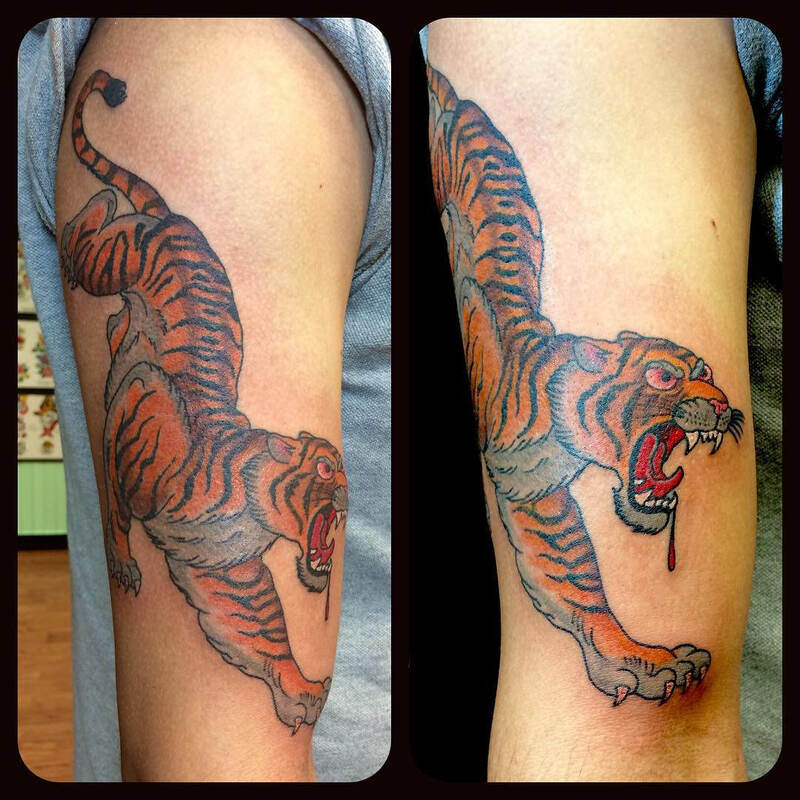 In Buddhism, it symbolizes anger and it is the national animal of Malaysia, South Korea, and India. 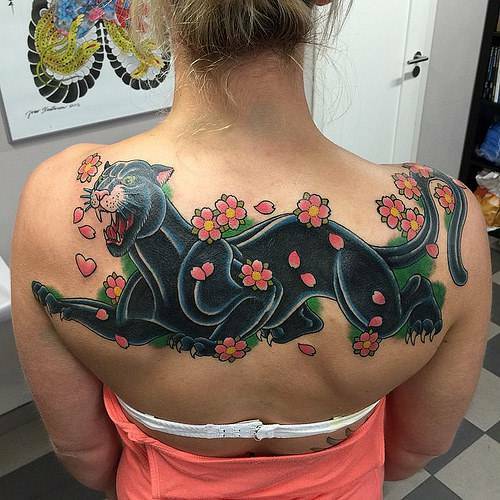 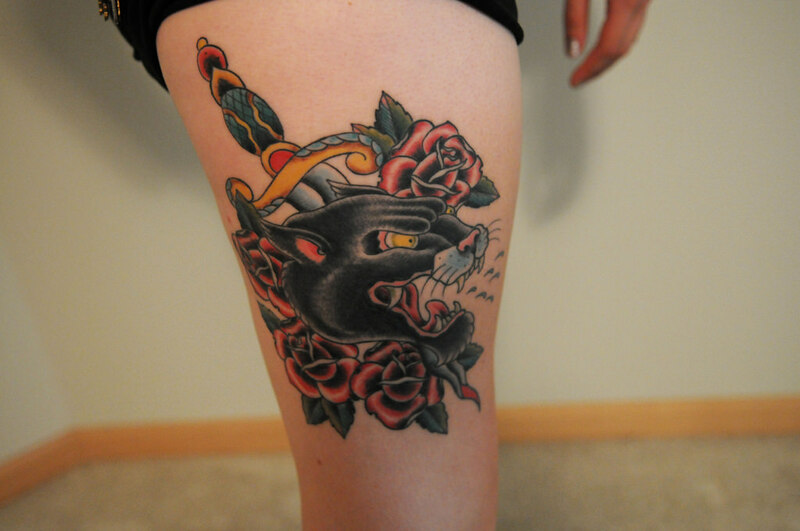 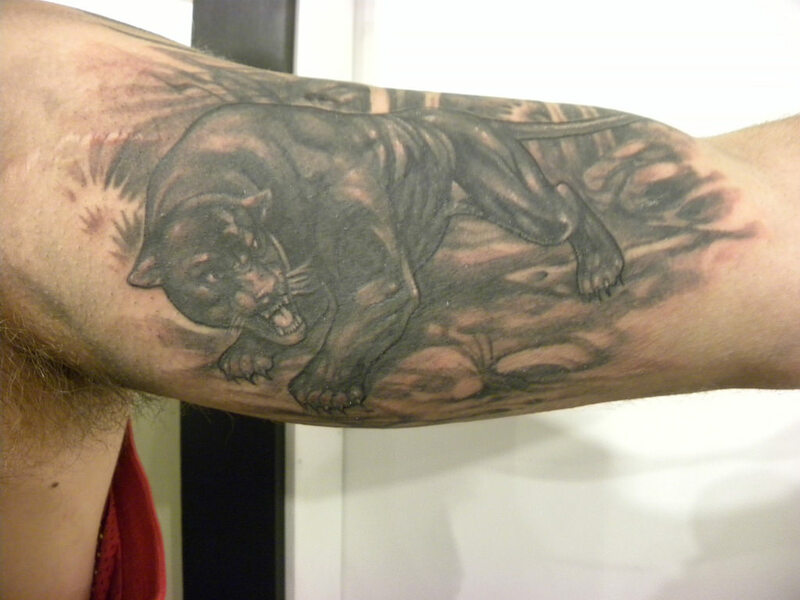 Black panther is another common traditional tattoo that represent the pride of the blacks. 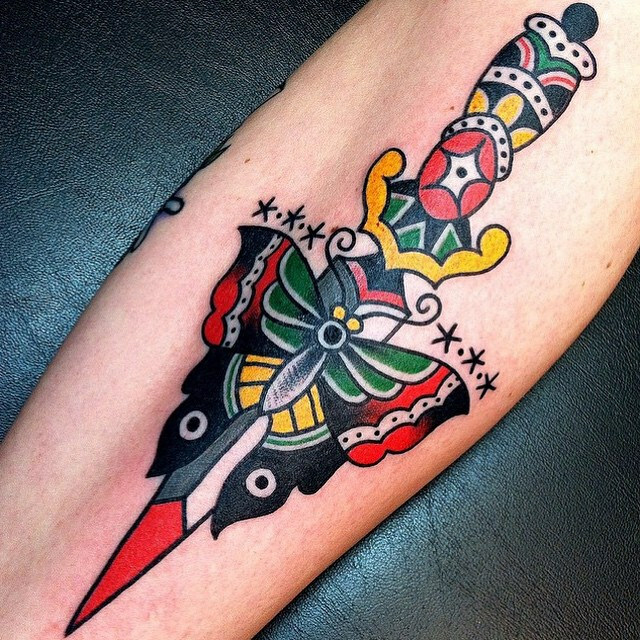 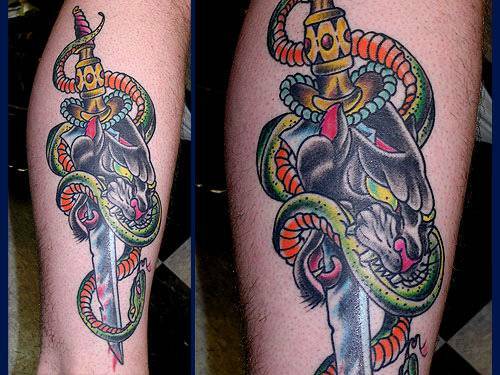 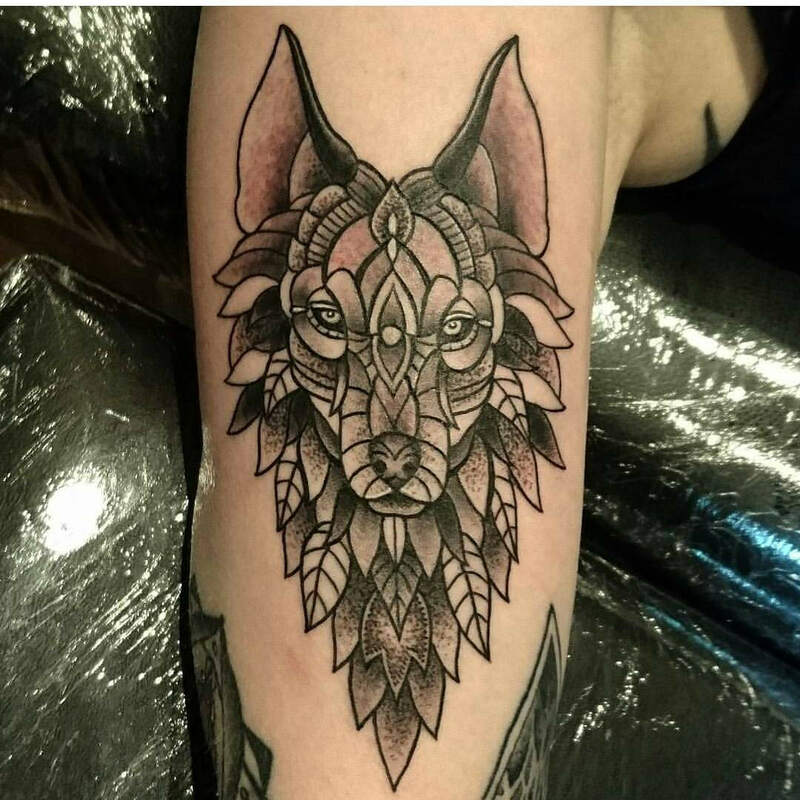 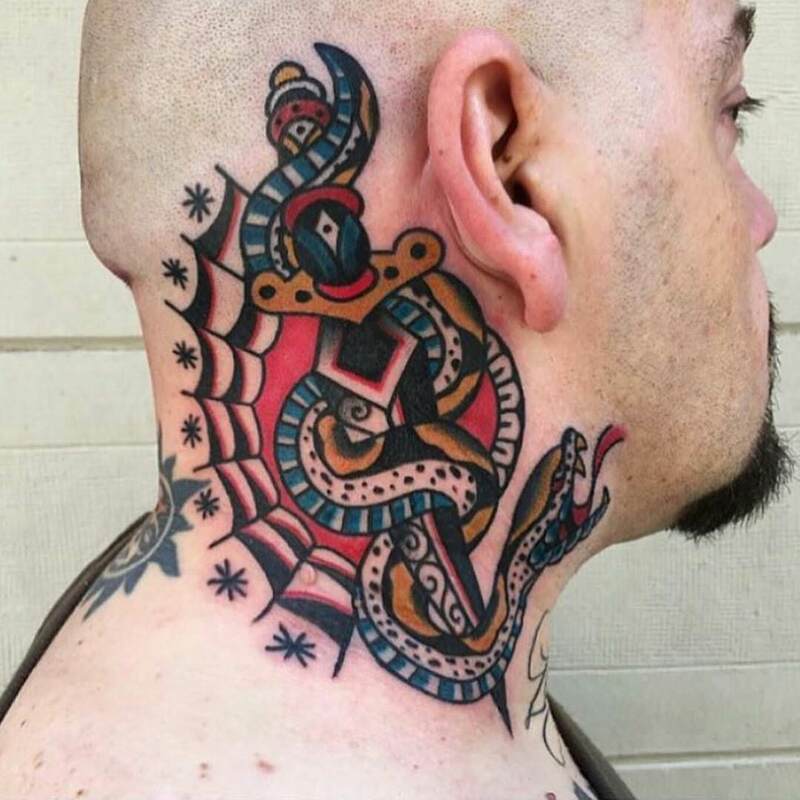 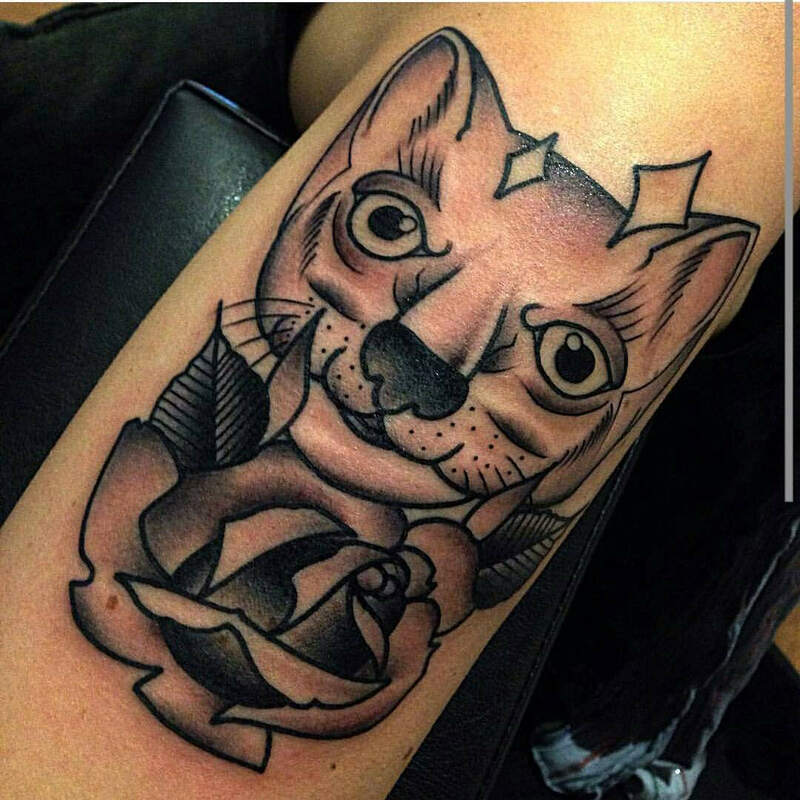 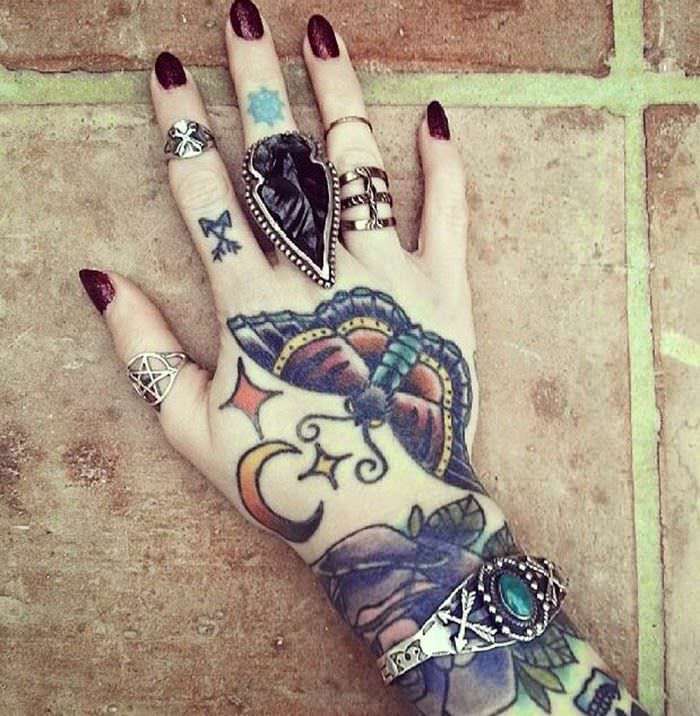 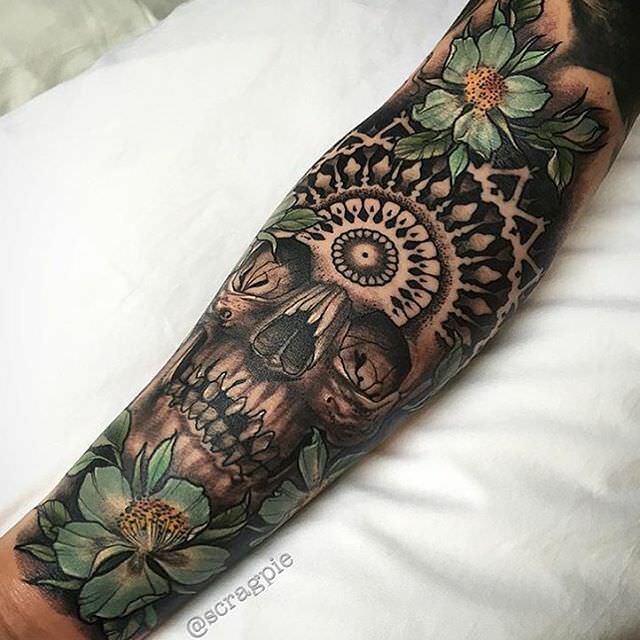 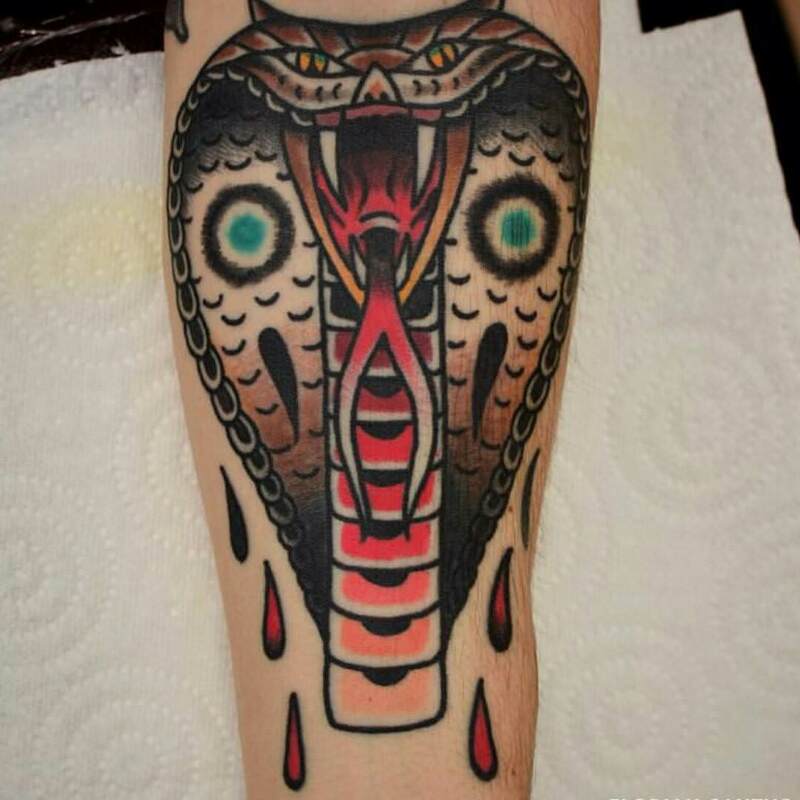 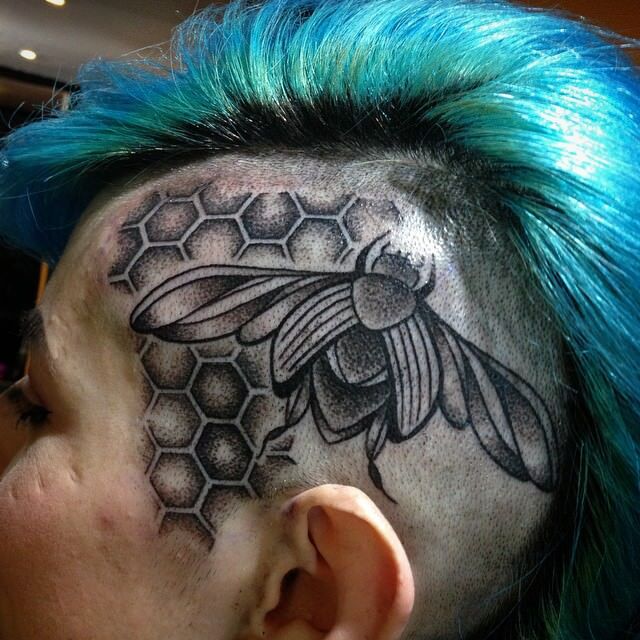 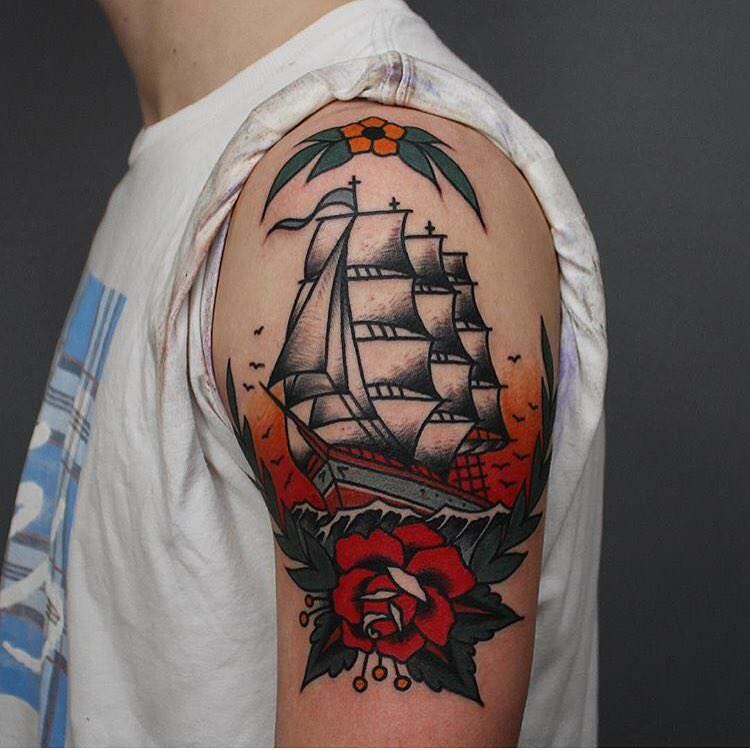 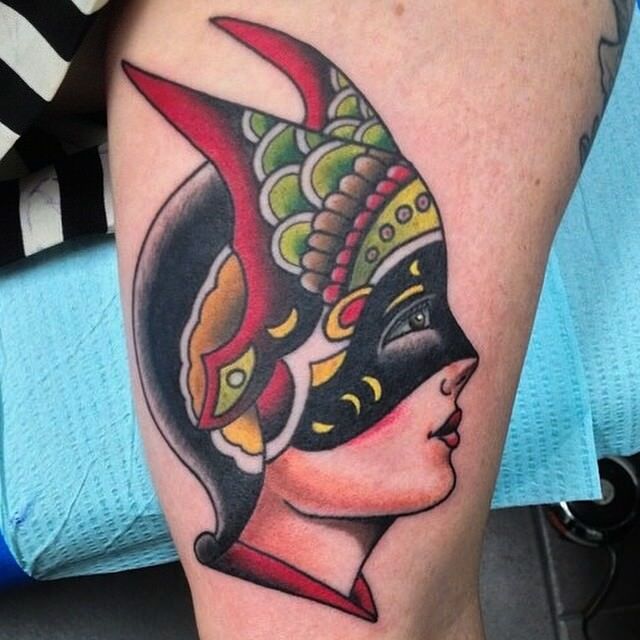 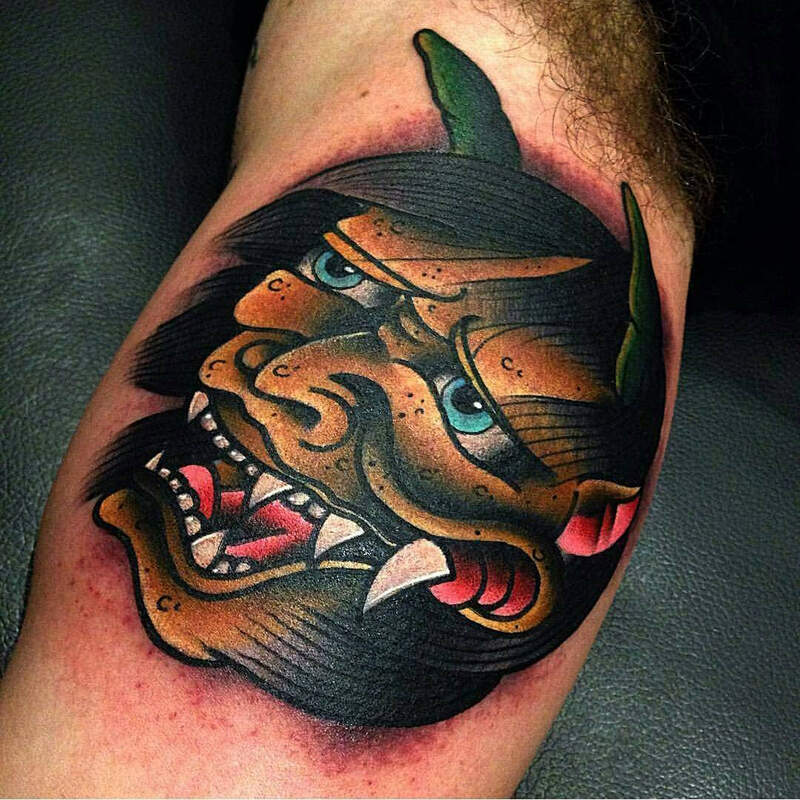 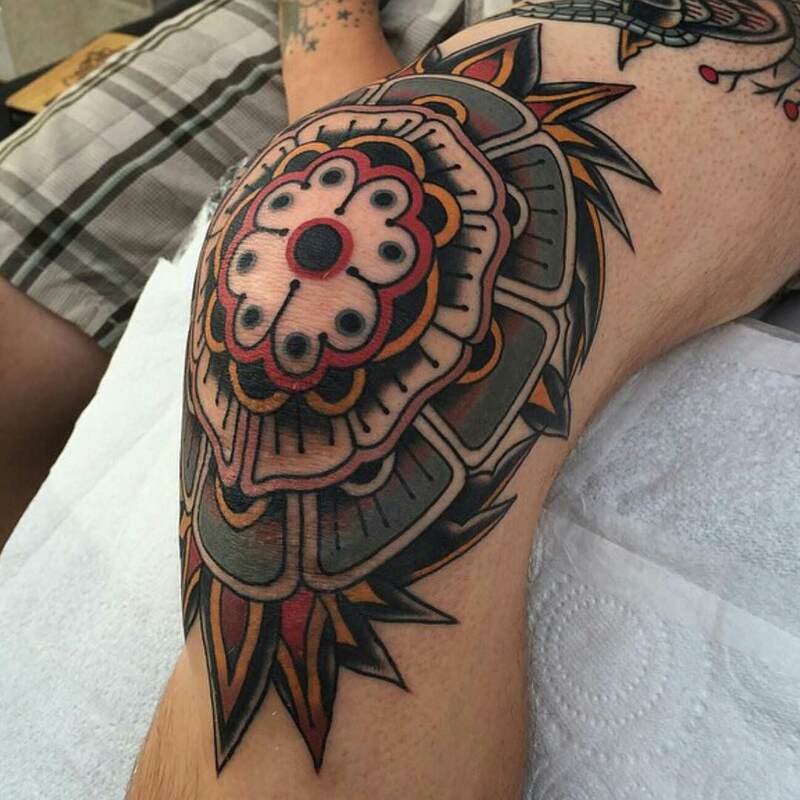 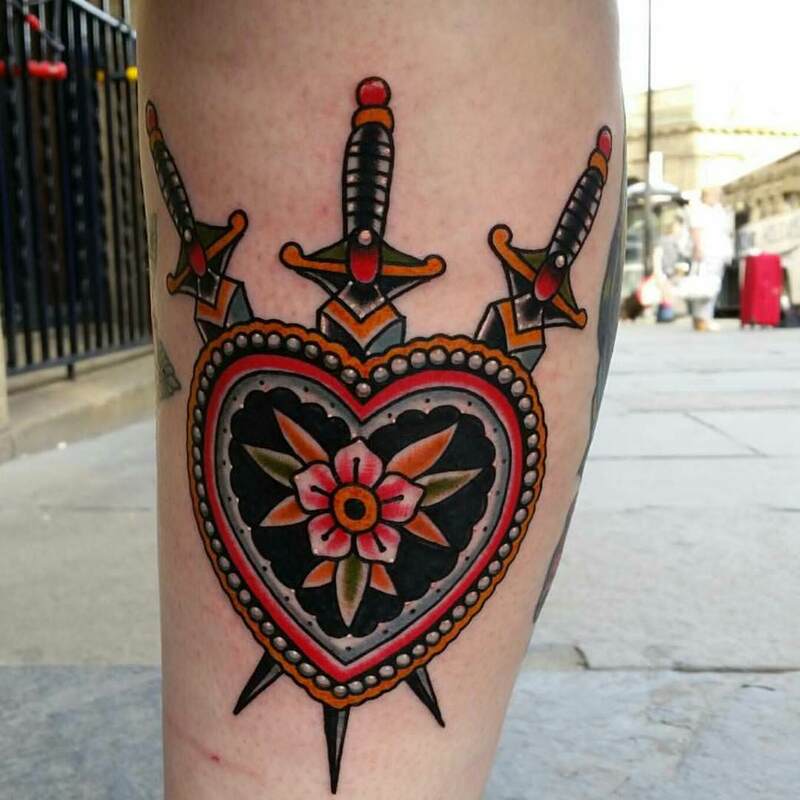 These tattoo designs become popular because of AmundDietzel who was a tattoo pioneer between the years 1890 to 1973. 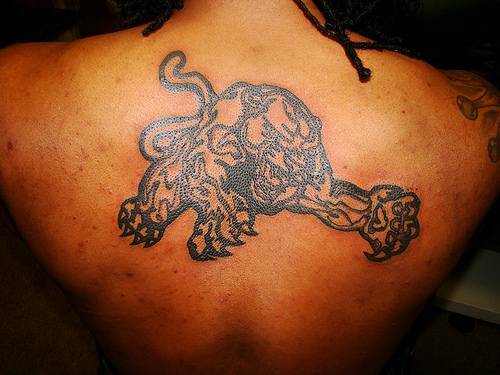 The tattoo showed the fluidity and shape of an animal in a crawling position best demonstrated on the placement of human body. 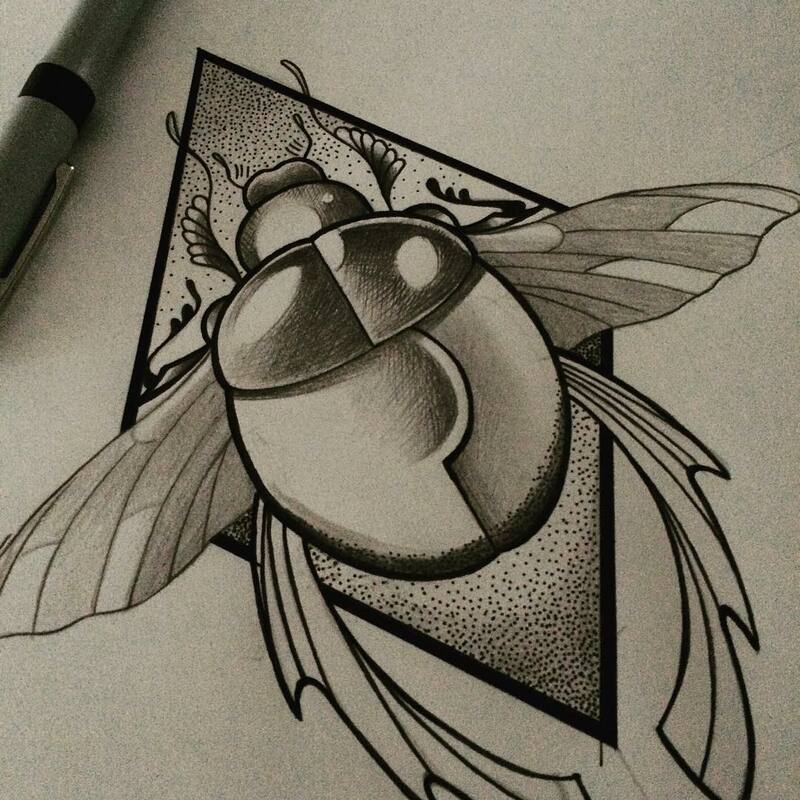 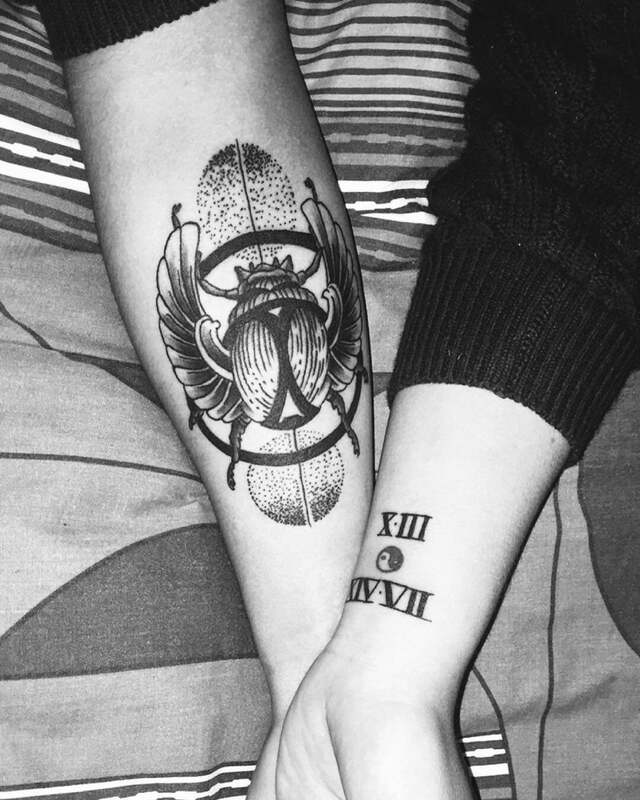 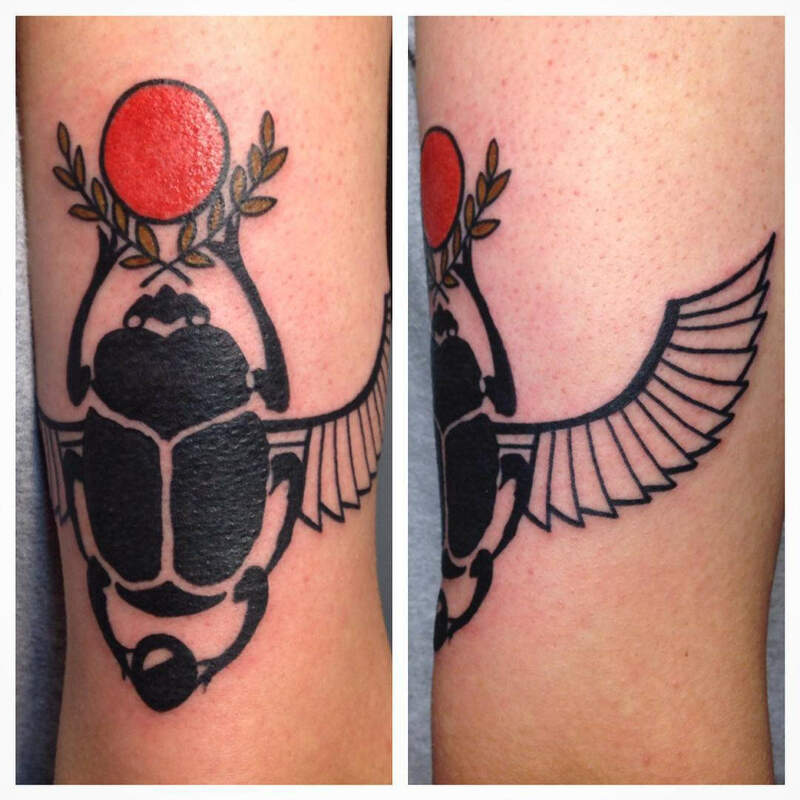 A scarab beetle tattoo is a traditional tattoo that represented a transformation of the body and the soul. 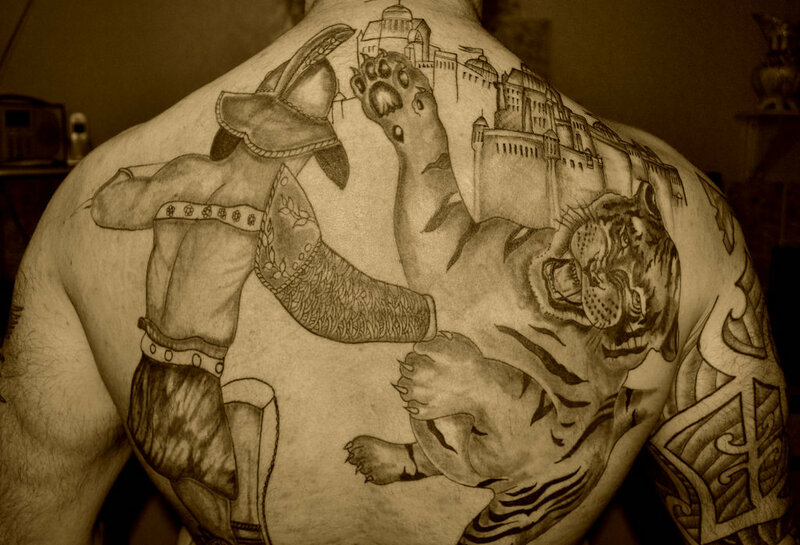 It originated from the Egyptians and it was a demonstration of the cycle of the sun.